Can you make a little time to meet like-minded people and take action for the conservation of our marine environment? What is the Marine Response Team? 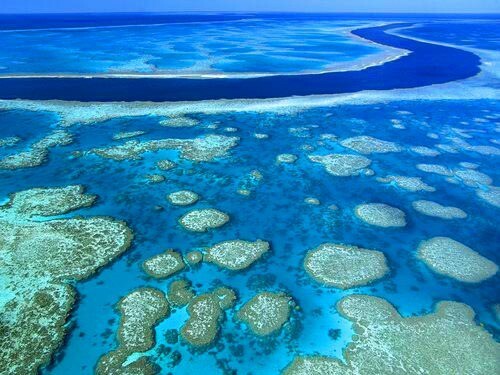 Our fish, dolphins, dugongs, turtles and corals face a daunting range of threats but we can make a positive difference. The Marine Response Team will take proactive action to educate the public and decision makers and prevent threat. We will respond to existing threats by awareness raising, direct activities to protect and restore threatened habitat and facilitating community involvement in decision making. How can you find out more and be part of the action? We will be running a 1st meeting introduction session and planning brainstorm and we want you to be there. Get involved from day 1 and shape the future of the Marine Response Team. When: Wednesday 2nd October 6pm – 7pm (with optional informal discussions from 7-8). 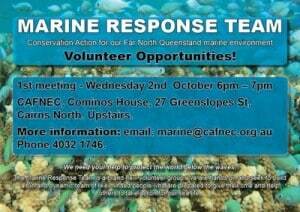 Where: CAFNEC, Cominos House, 27 Greenslopes st (corner of Greenslopes & Little Street), Cairns North. What to bring: Bring a friend, enthusiasm and your ideas for projects or activities that you think can help protect the marine environment.